Manufacturer of a wide range of products which include sand screener, vibratory type sand screener and rotary sand screener. 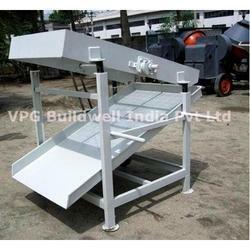 We offer Sand Screener. 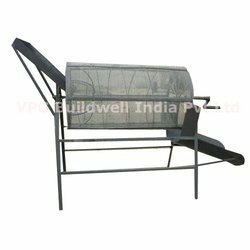 Precisely manufactured in compliance with the industry set standards, these screeners are used for effective screening of sand in order to remove impurities. These screeners undergo rigorous in-house quality assurance procedures to ensure a defect-free range. We are considered in the market to be one of the leading manufacturers and suppliers of this quality Vibratory Type Sand Screener. Manufactured in accordance with the set industrial guidelines, its quality is never sacrificed. Owing to the raw materials used in its making, the offered product is highly sturdy and has a long functional life. The offered product is widely used in the construction industry for the purpose of removing the impurities from sand. 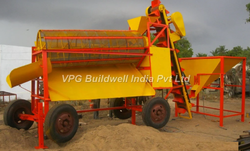 Owing to our rich experience in this domain, we have come up with Rotary Sand Screener for our esteemed customers. These machines are used for accurate screening of sand in order to remove unwanted impurities. Due to their high efficiency and longer service life, these machines are highly demanded in the construction and allied industries.